Objective: The objective of this study was to determine the impact of feeding con­sumers of varying degree of doneness preferences steaks cooked to multiple degrees of doneness on their perceptions of beef palatability. The Stock Growers Field Day will be highlighted by a market outlook from CattleFax and by a presentation on increasing production efficiency from the well-known reproductive physiologist, Dr. Rick Funston. The field day, held in Beloit, Kansas, will be a collaboration from K-State Research and Extension, the Kansas Livestock Association, and the Kansas Bull Test. New Mexico and Texas will host beef cattle reproduction workshop in Ruidoso, N.M.; registration is open now. Registration is open for the 2018 Applied Reproductive Strategies in Beef Cattle symposium to be hosted at the Ruidoso Convention Center, Ruidoso, N.M., Aug. 29-30. More detailed program information and online registration is available at www.appliedreprostrategies.com. Under normal production circumstances calves are typically weaned at 180-220 days of age, however under circumstances where forage supply is limited or cow body condition is lacking weaning calves at 180 days of age or less may be one of the easiest ways to reduce cow nutrient requirements and improve cow body condition. 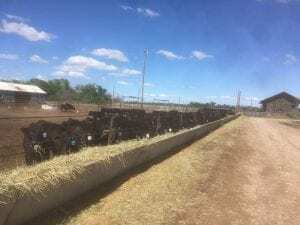 Many cattle producers express concerns over the thought of weaning 350-450 lb calves during the heat of the summer and believe that early-weaned calves will not perform well in a dry lot environment. In a recent study (Bailey et al. 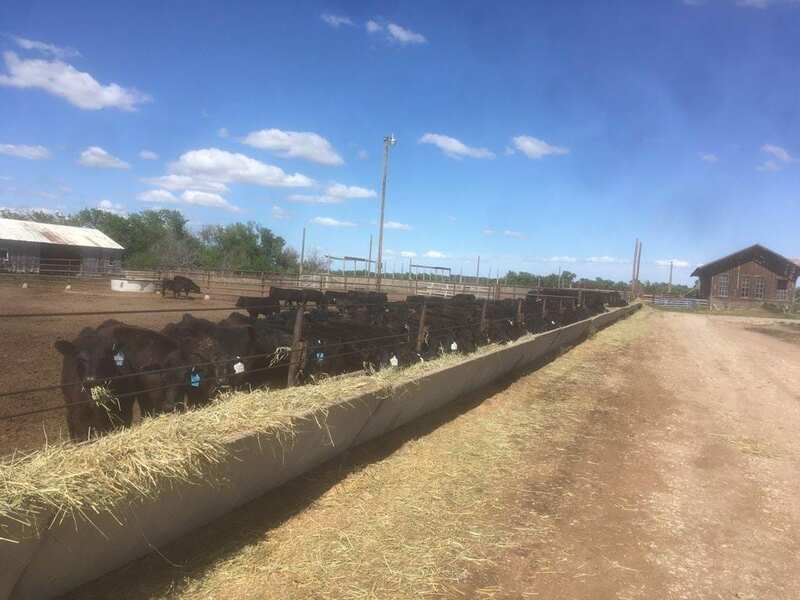 2013) conducted at the K-State Agriculture Research Center-Hays, 243 spring-born calves were weaned at 113 ± 17 days of age and were limit-fed a common diet to achieve target average daily gains of 1.0, 2.0, or 3.0 lbs per day during an 84 day receiving period. 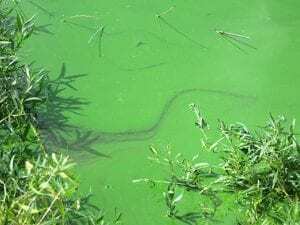 Blue green algae blooms are an issue that usually gets discussed this time of year. Calm, sunny, dry, and hot days of summer create ideal conditions for blue green algae to thrive in our livestock ponds. 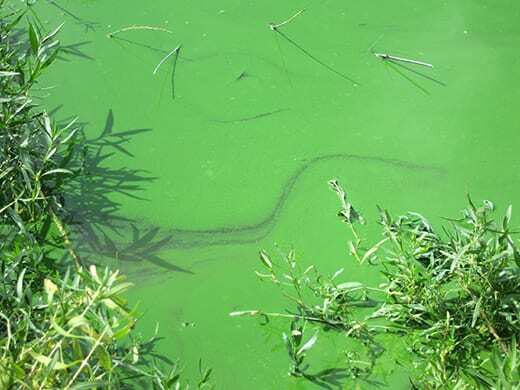 Blue green algae occurrence is sporadic making its threat unpredictable. Despite its name, these blooms are not algae, but a cyanobacteria. Some of these cyanobacteria produce and release dangerous toxins that are of major concern for our livestock.